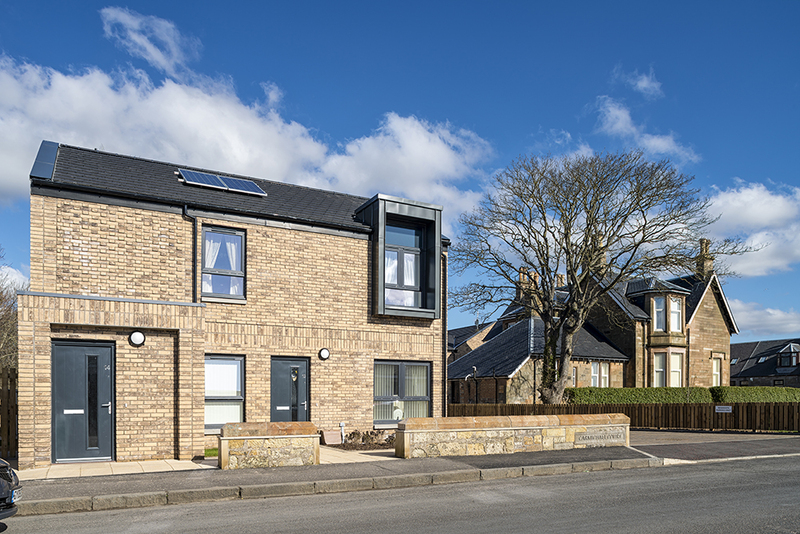 A former gap site sandwiched between a blonde sandstone Victorian villa and terraced housing on the corner of Moorpark Road West and New Street in Stevenston now hosts 14 cottage flats across three blocks delivered for Cunninghame Housing Association. 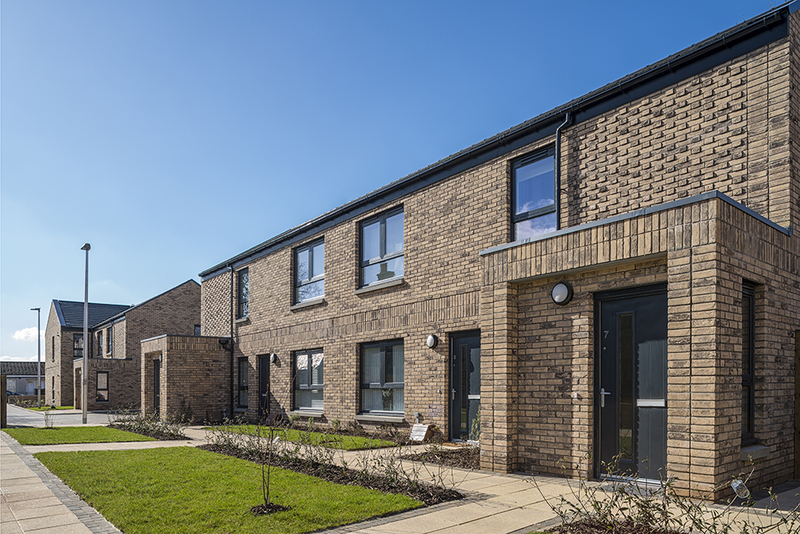 The development, containing a mix of one and two bed elderly amenity flats for social rent. 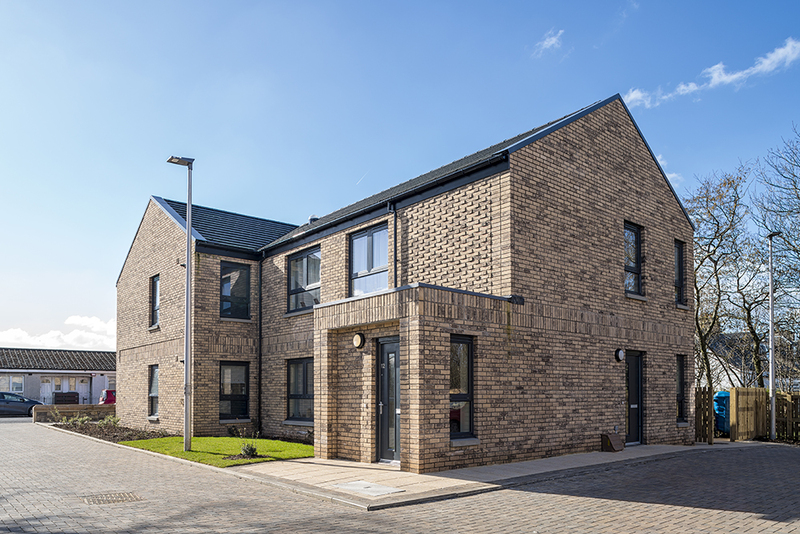 The ‘L’ shaped site offers a south-west facing private courtyard for the residents, providing a space to meet and socialise whilst acting as a communal ‘front garden’ with a mix of hard and soft landscaping features. Elevationally, the blocks are articulated with a variety of textured brick detail features and zinc-clad dormer windows. 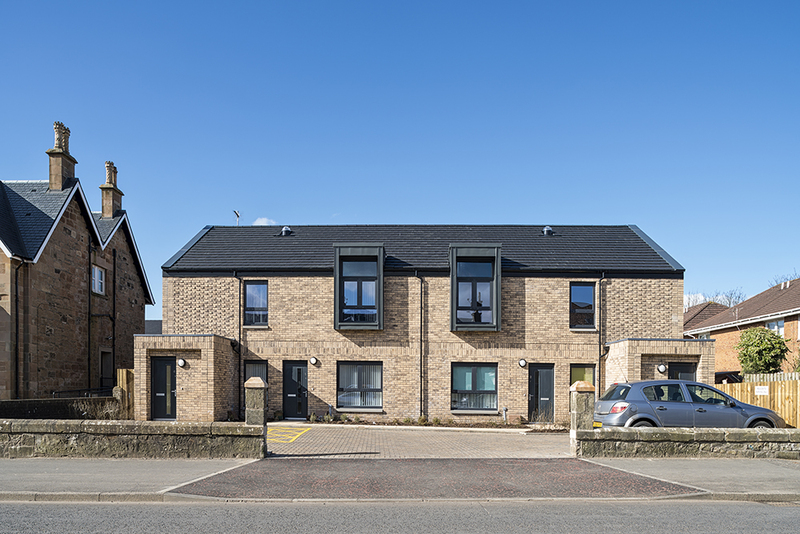 This restrained material palette creates a crisp and sympathetic development which knits itself into the frontage of both streets, whilst complementing the form and materiality of the adjacent villa.